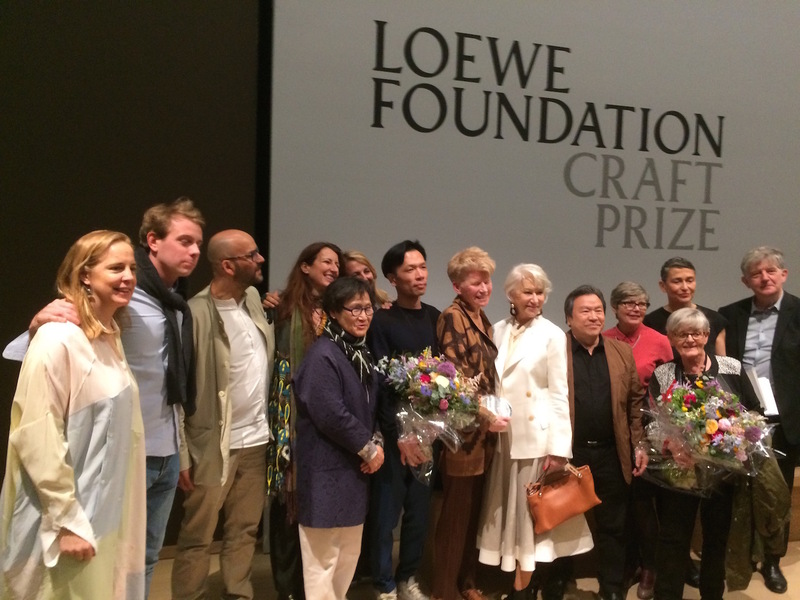 Helen was honoured to present the Loewe Foundation Craft Prize at the Design Museum London. There were 1900 entrants from all over the world and 30 finalists. The standard of entries was truly overwhelming and the winner was Jennifer Lee. The exhibition is on at the Design Museum now and well worth a visit. Simone Pheulpin and Takuro Kuwata were highly commended as well.